Derbyshire Marine Products - Tork Systems, Inc.
DMP has been a leader in providing high pressure valve and fittings to the U.S. Defense industry for well over 29 years. Through our innovative design and engineering, DMP Valves and Fittings are used on every surface and sub-surface ship in the U.S. Navy Fleet. Critical applications include Carrier Catapult & Arresting systems, H.P. Compressor’s, Hydraulic systems and Diver’s life support systems, to name a few. With DMP’s proven track record and ISO 9001 quality and reliability, there is no substitute! Tork Systems is thrilled to represent Derbyshire Marine Products. 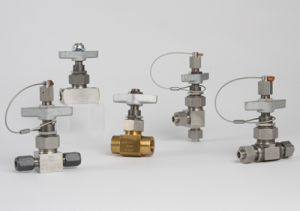 Over the years, DMP has emerged as the industry leader for instrumentation valves, high pressure fittings and shutoff cartridge valves. Derbyshire products are made to Mil-Spec certifications and have been approved for shipboard use by the U.S. Navy. Contact us for a quote on any Derbyshire product today!